Talk about a relevant book to study! I don't think most people think of 1 Corinthians as the book to study when it comes to learning how to live as a follower of Jesus today. This book is packed full of practical, life-changing, heart-challenging, relevant-for-today biblical truth. Just click on the picture to get started studying this oh so helpful book! Picking up where we left off in our study of 1 Corinthians Part 1, Part 2 promises to challenge and enrich our walks with the Lord. We'll be dealing with the "tough" subjects of spiritual gifts, speaking in tongues, women leading in church, the events of the Rapture, and more! 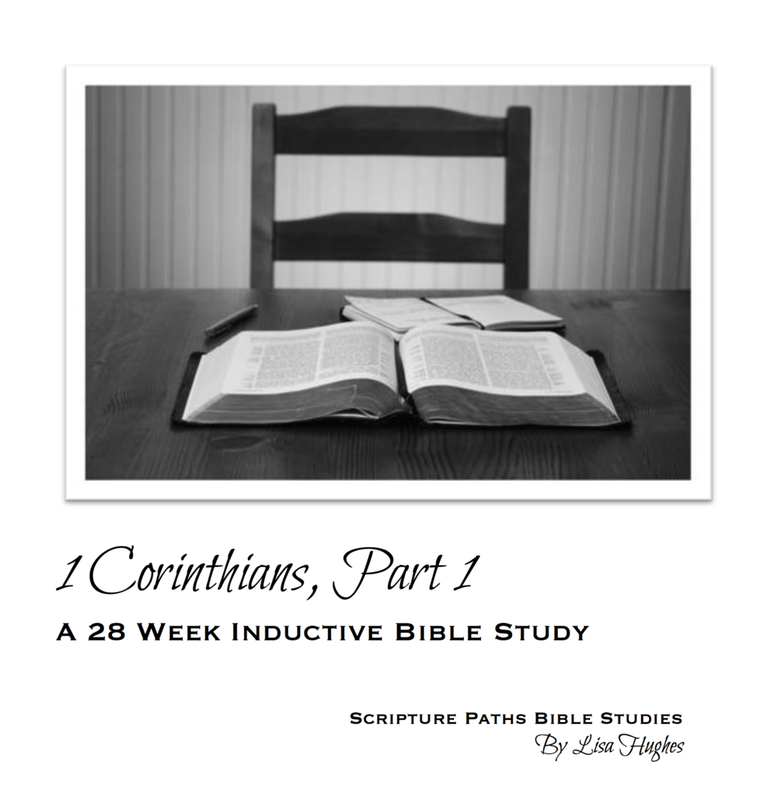 If you've stayed away from parts of 1 Corinthians because you thought it might be too complicated to understand, then please won't you join me in studying it? We'll look at God's Word together, step by step, verse by verse, taking into account the context, and you will find those "tough" subjects unfolding before you. Just click the picture below to get started in this helpful for today's church book! Every book of the Bible we study becomes a treasure for us, yet there are some that stand out as even more precious because of the way God has used them in our lives--2 Corinthians has long been such a book for me. Each time I go back to it, I find fresh treasures! Even this morning, as I read it, I found new gems to gaze upon. I hope you'll be as blessed by this short look at 2 Corinthians. There is more in the book than this little Bible study delves into! The Thessalonian believers remain an example of love, faithfulness, and zeal for the Lord Jesus to this day. Studying this epistle will enrich your own walk with the Lord, while stirring your heart for the Lord's soon return. 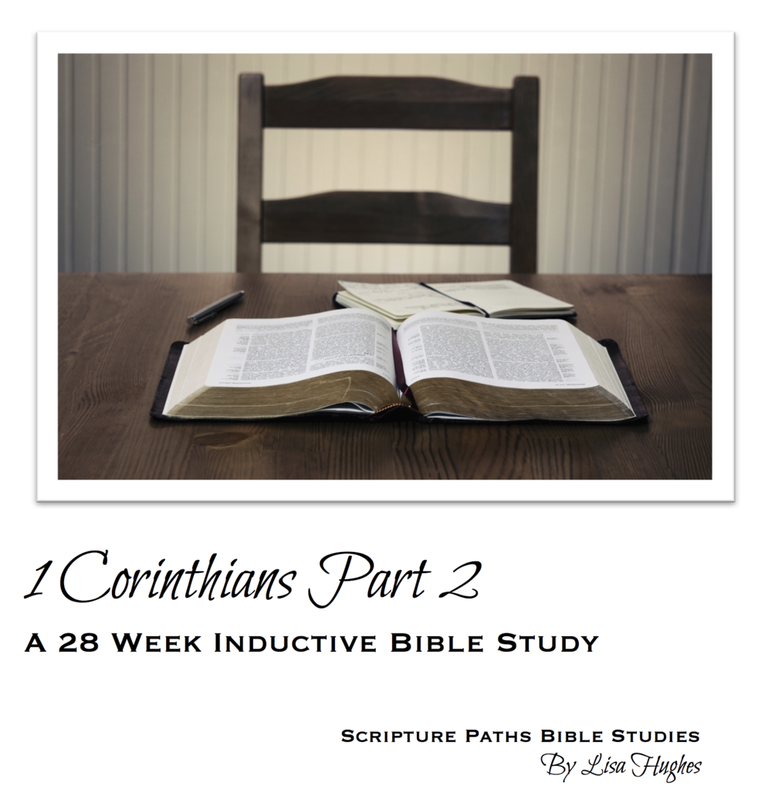 This inductive Bible study contains 17 lessons full of encouragement for your life today. Just click on the picture to get started! The second letter to the Thessalonians brims with encouragement and instruction. If you're trying to persevere in trials, this book is for you! If you've ever wondered about the end times events, this book is for you! If you're wanting practical life encouragement, then this book is for you! Grab your Bible, a cup of tea, and enjoy this 10 week study in 2 Thessalonians. Click on the picture to get started! The book of Titus contains only 3 short chapters. You would think a study on it would be short, yet this 22 week study in this nutrient dense epistle still leaves many gems below the surface! Don't miss out on the opportunity to study this life-changing, soul-transforming book! Click on the picture to get started! From there you can save the PDF document to your computer or print out the study right away. May the Lord richly bless you as you study! Deuteronomy is the clarion call of God to His children to live obediently before Him. The book reminds us that we must choose to do things God’s way, not our own. Each moment of every day brings us to that crossroads of decision. Am I willing to obey God? Do I yearn to please God by obeying His word? Is my heart wholly devoted to Him? Click on the picture below to get to the Bible study lessons. You will be able to print out the lesson from the screen page or you can save the study to your computer to come back to later.